Alfaisal University vivaciously celebrated the 83rd National Day in Saudi Arabia at campus on Wednesday 23/9/2013 with strong feeling of commitment and pride of the Saudi achievements. 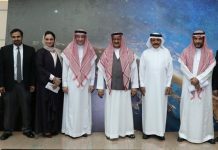 Dr Faisal A. Al Mubarak, Vice President and Chief Academic Officer, welcomed the attendance of College Faculty, students and staff of Alfaisal. Traditional folklore dance was presented where faculty and students participated. 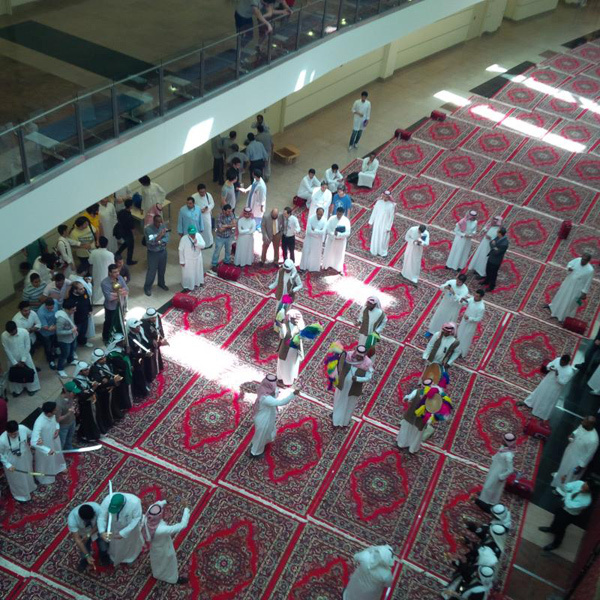 A myriad of cultural activities, decoration and food, from different regions of Saudi in a typical Saudi atmosphere, were showcased at the campus. The history of Saudi Arabia and foundation of modern Saudi were shown through documentary videos in both Arabic and English for non-Saudis to have a better understanding of the development of the country through many generations. 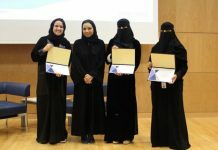 In the female section, Dr. Maha Bint Mishari AlSaud, Executive Director for External Affairs, also celebrated the national day among College Faculty, students and staff of Alfaisal. The Saudi flag, caps, badges, bracelets with the Saudi emblem were presented to all. Non Saudis got the chance to learn more about Saudi traditions, costumes and food from different regions of Saudi.